Keith Brown, AM’91, PhD’95, and Yannis Hamilakis, editors, The Usable Past: Greek Metahistories (Lexington Books) and The Past in Question: Modern Macedonia and the Uncertainties of Nation (Princeton University Press). The first book addresses the meaning of antiquities for contemporary Greece’s national identity. The second book focuses on the historical resonance of a 1903 uprising against Ottoman rulers in the mountain town Krusevo, which is now part of the Republic of Macedonia. In Lessons of the Masters (Harvard University Press, 2003) George Steiner, AB’48, explores the rhetoric of “mastery” that underlies the teacher-student relationship. 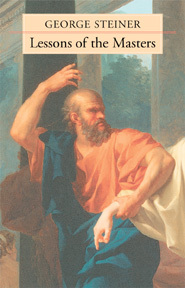 Citing models of teaching, such as Socrates, Jesus, Virgil, and Confucian and Buddhist sages, Steiner considers the power, exploitation, vulnerability, betrayal, trust, and passion that inform pedagogical relationships. Takeyuki Tsuda, AB’90, Strangers in the Ethnic Homeland: Japanese Brazilian Return Migration in Transnational Perspective (Columbia University Press). Tsuda examines the lives of unskilled Brazilians of Japanese descent who have returned “home” to Japan; roughly 280,000 Japanese Brazilians have done so since the late 1980s. Tsuda considers how these migrants and their native hosts view one another and how encounters between the two groups affect their respective identities. Debra Bricker Balken, AM’80, and Robert S. Lubar, The Park Avenue Cubists: Gallatin, Morris, Frelinghuysen and Shaw (Ashgate). The authors study four artists who drew from American aesthetics to build on the innovations of such European modernists as Braque, Picasso and Léger. Working in the 1930s and 1940s, the four featured artists enjoyed “Park Avenue” wealth and privilege as they promoted American abstraction. William Maynard Hutchins, AM’67, PhD’71, Tawfiq al-Hakim: A Reader’s Guide (Lynne Rienner Publishers). Hutchins provides a guide to the works of this influential 20th-century Egyptian playwright, novelist, and essayist. The author describes al-Hakim’s work as presenting “fertile collisions” between religion and secularism, between men and women, and between city and countryside. Hutchins also discusses Arab reactions to al-Hakim’s writing. Kathleen L. Komar, AB’71, Reclaiming Klytemnestra: Revenge or Reconciliation (University of Illinois Press). Komar explores how numerous late-20th-century women artists, such as Martha Graham, have reenvisioned the Greek queen who killed her husband when he returned from the Trojan War. The author examines the classical archetype of Klytemnestra and modern reconceptualizations in dance, fiction, drama, poetry, and on the Internet. Clara Orban, AB’81, PhD’90, Surrealist Case Studies: Literature, the Arts and Medicine (University Press of the South). This work centers on the surrealist themes of disease, decay, and medicine. It concerns surrealist writers and artists who were trained in medicine, such as Jacques-André Boiffard and André Breton, or who were chronically ill, such as Frida Kahlo. Glenn Yeffeth, MBA’86, editor, Taking the Red Pill: Science, Philosophy and Religion in “The Matrix” (BenBella Books). Writers from diverse fields discuss the religious symbolism, philosophical dilemmas, and technological challenges of the popular 1999 movie. Essayists include a philosopher, a media critic, scientists, and a science-fiction writer. Bruce L. Gardner, PhD’68, American Agriculture in the Twentieth Century: How it Flourished and What it Cost (Harvard University Press). Gardner depicts both the successes and failings of American agriculture. He describes agriculture as “a paradigm of productivity” that has lifted farmers out of poverty but caused persistent social problems, from the plight of Okies in the 1930s to biotechnology dilemmas today. Mary Hays, AB’61, AM’66, Learning to Drive (Random House, Shaye Areheart Books). Hays’s debut novel tells the story of Charlotte McGuffey, a Christian Scientist who has always trusted the power of her thoughts to protect her. But when her newly estranged husband dies suddenly, Charlotte moves with her two sons to the family’s Vermont summer house and re-examines her fundamental beliefs. Antoinette Burton, AM’84, PhD’90, editor, After the Imperial Turn: Thinking with and through the Nation (Duke University Press). This essay collection investigates the nation’s role as “an organizing rubric” for the study of history. As scholarship focuses more on imperialism and postcolonialism, the writers consider whether the nation remains central, adequate, or even possible as an analytical category for understanding history. Ronald J. Granieri, AM’91, PhD’96, The Ambivalent Alliance: Konrad Adenauer, the CDU/CSU and the West, 1949–1966 (Berghahn Books). Germany’s first chancellor invariably cited his nation’s integration into the American-led West as his most significant accomplishment. But new archival material has opened a more complicated assessment of Adenauer’s attitude toward Germany’s allegiances. Granieri argues that Adenauer was torn between visions of continental European integration based on Franco-German reconciliation and an alliance linking Europe and the United States. Roger W. Lotchin, AM’61, PhD’69, The Bad City in the Good War: San Francisco, Los Angeles, Oakland and San Diego (Indiana University Press). In the mythology of the West, cities were seen as places of corruption, but the author argues that California’s “bad” cities proved their mettle during World War II. Diverse populations, Lotchin says, came together to contribute to the war effort. Jeffrey G. Brown, AB’91, Thinking in Chinese: An American’s Journey into the Chinese Mind (JB Linguistic Works). Brown investigates the unique structure of the Chinese language and its influence on Chinese thought. Kathleen Alaimo, AM’79, and Brian Klug, PhD’92, editors, Children as Equals: Exploring the Rights of the Child (University Press of America). This book takes a multidisciplinary approach to fundamental questions about children’s nature and rights. Authors describe the children’s-rights movement and explore the nature of parents’ rights. Stephen B. Burbank and Barry Friedman, AB’78, editors, Judicial Independence at the Crossroads: An Interdisciplinary Approach (Sage Publications). The contributors challenge the conventional wisdom about judicial independence and critically examine judicial independence’s origins and purpose in the context of the U.S. system of government. H. V. Savitch and Paul Kantor, AM’66, PhD’72, Cities in the International Marketplace: The Political Economy of Urban Development in North America and Western Europe (Princeton University Press). This study examines political responses to global economic structuring in ten cities in the United States, Canada, Italy, France, and Great Britain between 1971 and 2001. The authors develop a theory of how cities bargain in the capital-investment process to secure valued public objectives. Kathleen D. McCarthy, AM’73, PhD’80, American Creed: Philanthropy and the Rise of Civil Society, 1706-1865 (University of Chicago Press). McCarthy traces philanthropy’s pivotal role in civil society’s evolution. She argues that faith in social equality, religious freedom, and the right to engage in civic activism constituted a national creed that provided a foundation for the struggle against racism and women’s subjugation. David H. Rosenbloom, AM’66, PhD’69, and Julie Dolan, editors, Representative Bureaucracy: Classic Readings and Continuing Controversies (M.E. Sharpe). The editors have collected previously published material assessing the potential for government administrative agencies to act as representative political institutions if their personnel are drawn from all sectors of society. Karen Zelan, AM’67, Between Their World and Ours: Breakthroughs with Autistic Children (St. Martin’s Press). Trained in psychoanalytic milieu theory at the University’s Orthogenic School, Zelan provides case histories, advice for parents and teachers, and documentation for the ways that psychotherapy helps autistic youth overcome problems socializing, communicating, feeling, and thinking. Charlotte Adelman, AB’59, JD’62, and Bernard L. Schwartz, Praire Directory of North America (Lawndale Enterprises). A comprehensive listing of prairies in the United States and Canada, this illustrated book organizes prairies by state and province. Each listing describes how to find the prairie, its environmental and geological area, and its flora and fauna. Raymond Smullyan, SB’55, Who Knows? : A Study of Religious Consciousness (Indiana University Press). Smullyan considers cosmic questions and presents arguments for and against each one. He explores whether God exists, the doctrine of hell, and the theory that human awareness of cosmic consciousness is increasing. George M. Eberhart, AM’76, Mysterious Creatures: A Guide to Cryptozoology (ABC-CLIO). This encyclopedia includes 1,085 animals that either remain undescribed by zoologists or may persist beyond their official extinction dates. The two-volume work uses a field-guide format. John Firor, SM’51, PhD’54, and Judith E. Jacobsen, The Crowded Greenhouse: Population, Climate Change, and Creating a Sustainable World (Yale University Press). This work investigates two phenomena—human-induced climate change and rapid population growth—showing how they are related and why they are too easily ignored. The authors argue that two revolutions are necessary: one improving equity, particularly for women, and one improving the efficiency of energy and materials use. Gerd B. Müller and Stuart A. Newman, PhD’70, editors, Origination of Organismal Form: Beyond the Gene in Developmental and Evolutionary Biology (MIT Press). Seeking to redress the imbalance between evolutionary genetics and other evolutionary biology aspects, the editors examine morphological evolution within the framework of evolutionary developmental biology—a new research agenda that concerns the interaction of development and evolution in the generation of biological form. Steven L. Murov, PhD’67, Experiments and Exercises in Basic Chemistry, 6th Edition (Wiley) and Experiments in General Chemistry, 4th Edition (Brooks and Cole). The first book accompanies texts for preparatory chemistry courses. The experiments introduce students to the basic techniques used to synthesize, purify, and analyze compounds. The second book includes experiments that maximize a discovery-oriented approach while minimizing hazards and environmental impact by avoiding such materials as barium, lead, and mercury. Thomas E. Lengyel, AM’74, PhD’87, editor, Faces of Change: Personal Experiences of Welfare Reform in America (Alliance for Children and Families) and, with David Campbell, editor, Faces of Change Analysis: Welfare Policy Through the Lens of Personal Experience. The first book provides personal accounts from 218 citizens in 20 states who were affected by the 1996 welfare reform act. The second book uses these stories as the basis for policy analysis, with discussions of employment, training, child care, health care, and transportation. Risha W. Levinson, AM’43, New Routes to Human Services: Information and Referral (Springer Publishing). Levinson shows how the information-technology explosion has made health and social services far more accessible. The author explains the development and expansion of information and referral services since the 1960s. Hartmut B. Mokros, PhD’84, editor, Identity Matters: Communication-Based Explorations and Explanations (Hampton Press). The author reports on self-identity studies that examine identity through communication, how it is represented, and how it becomes relevant. The studies explore dimensions of personal identity including age, authority, culture, design, and gender. Susan M. Sanders, PhD’91, Teen Dating Violence: The Invisible Peril (Peter Lang Publishing). Based on her survey of 499 female high-school juniors, the author concludes that many young women who date experience “extensive and severe” emotional and physical harm. Sanders proposes changes in public policy for minors involved in violent relationships. Stephen Wiebe, AB’90, and Howard Soriano, MBA’88, WeeBeeTunes Travel Adventures. These animated music videos introduce children to destinations world-wide, from the Trans-Siberian Express to Machu Picchu. Using melodies that incorporate indigenous instruments and local sounds along with illustrations of famous landmarks and landscapes, each song incorporates lessons on history, culture, and the environment. Available at weebeetunes.com and amazon.com. Collette Chattopadhyay, MFA’78, Drawing the Line: Contemporary Artists Reassess Traditional East Asian Calligraphy. June 1 to October 5 at the Pacific Asia Museum, 46 North Robles Avenue, Pasadena, CA. Guest curator Chattopadhyay profiles works by twelve contemporary artists who reexamine the relevancy of East Asian calligraphy and the tensions that emerge between individual, cultural, and international identities. Buzz Spector, MFA’78, Hand, Writing. September 5 to October 11 at the Zolla Lieberman Gallery, 325 West Huron Street, Chicago, IL. Spector presents an exhibition of drawings and handmade paper works. “Alumni Works” includes notices about alumni books, CDs, performances, and exhibitions. For inclusion, please send the information about your work (title; publisher, distribution, or venue; and synopsis) to Alumni Works Editor, University of Chicago Magazine, 5801 S. Ellis Avenue, Chicago, IL 60637, or via e-mail: uchicago-magazine@uchicago.edu.